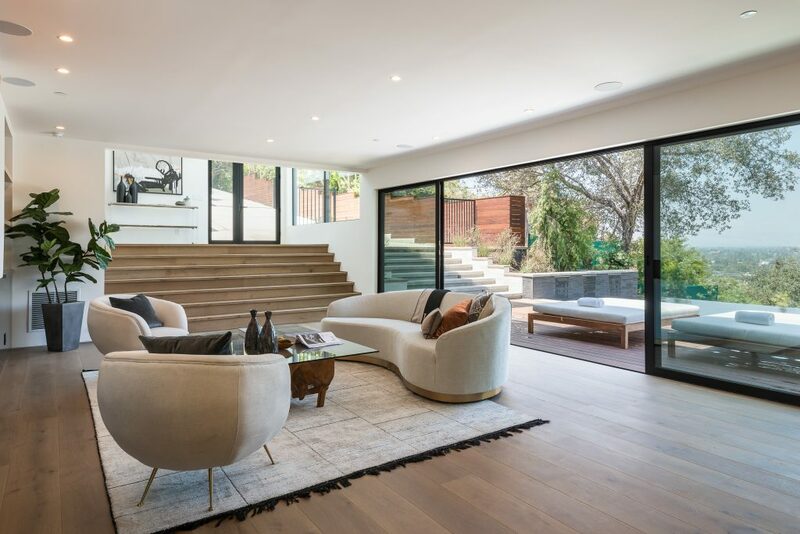 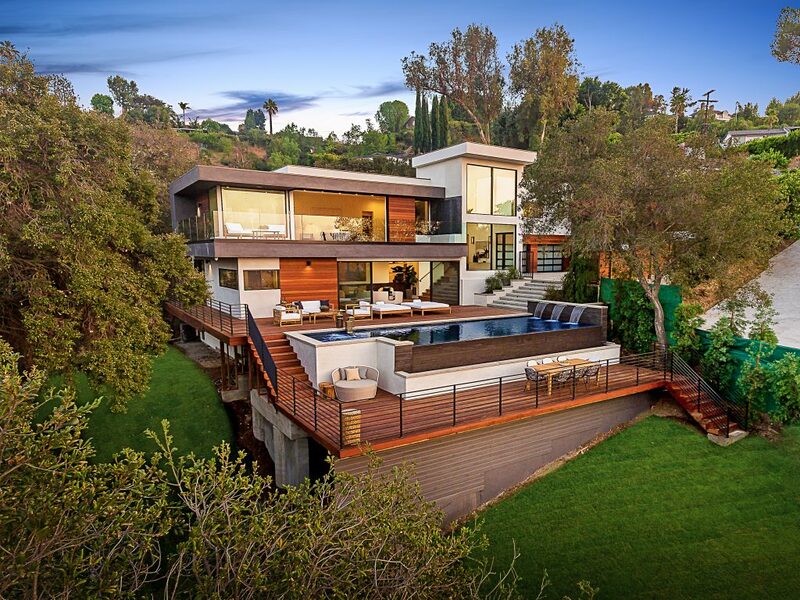 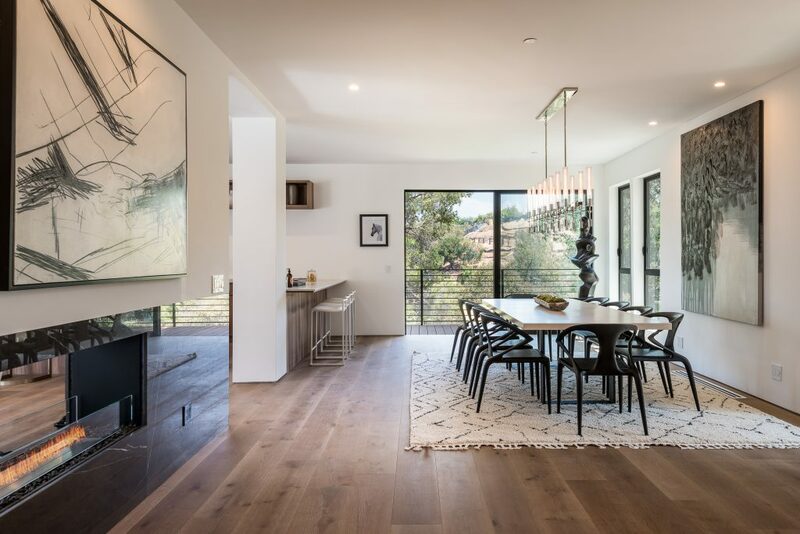 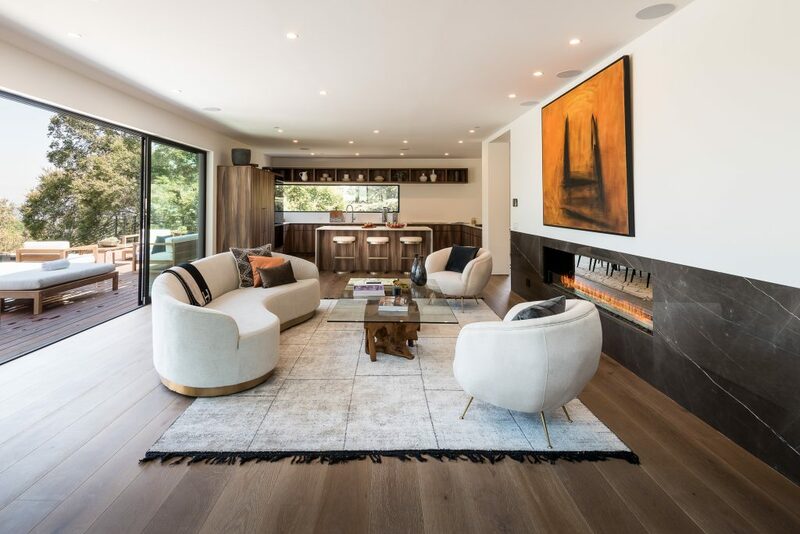 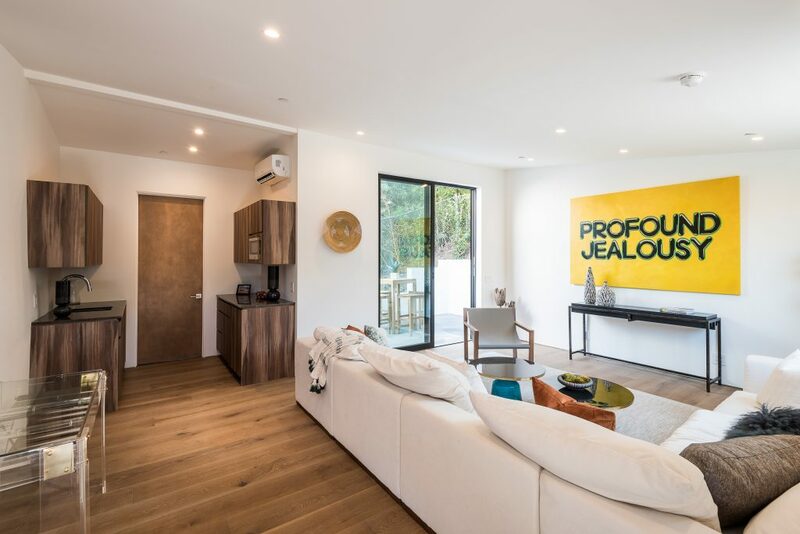 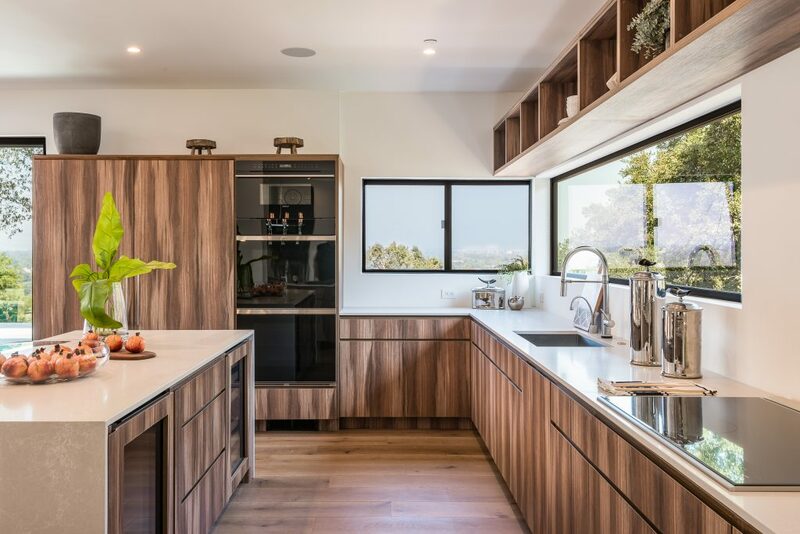 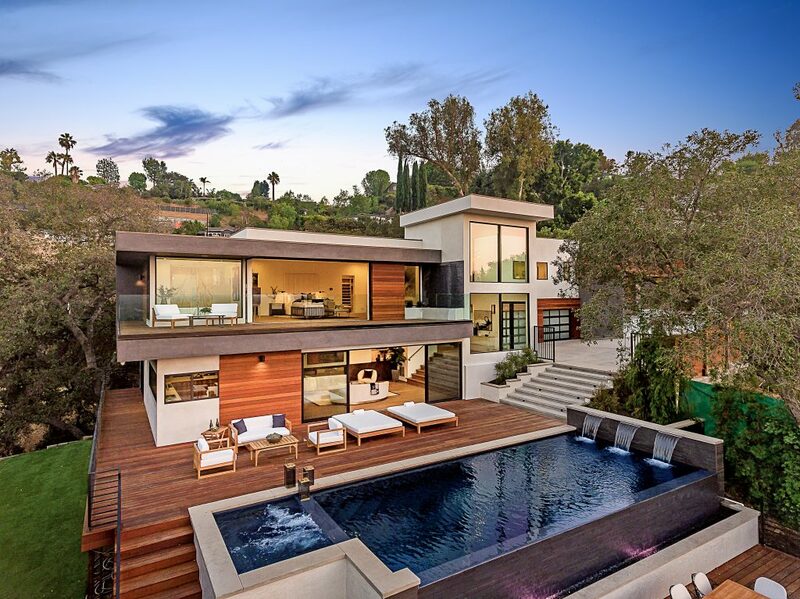 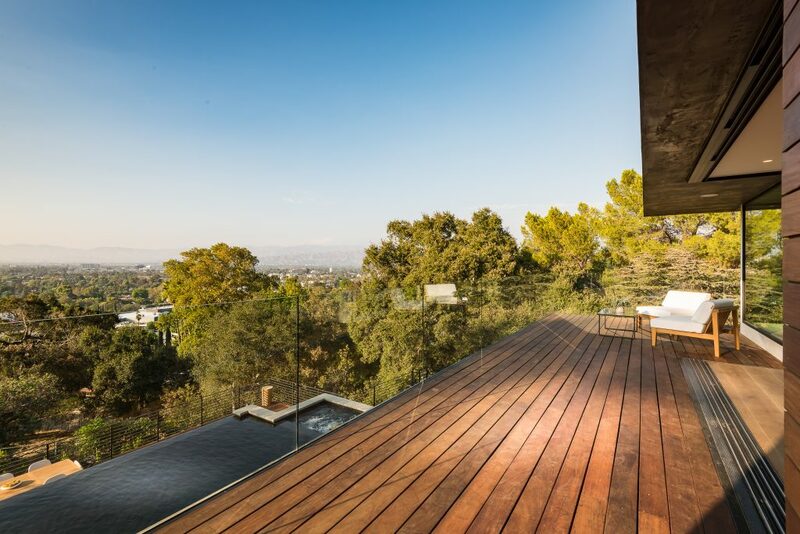 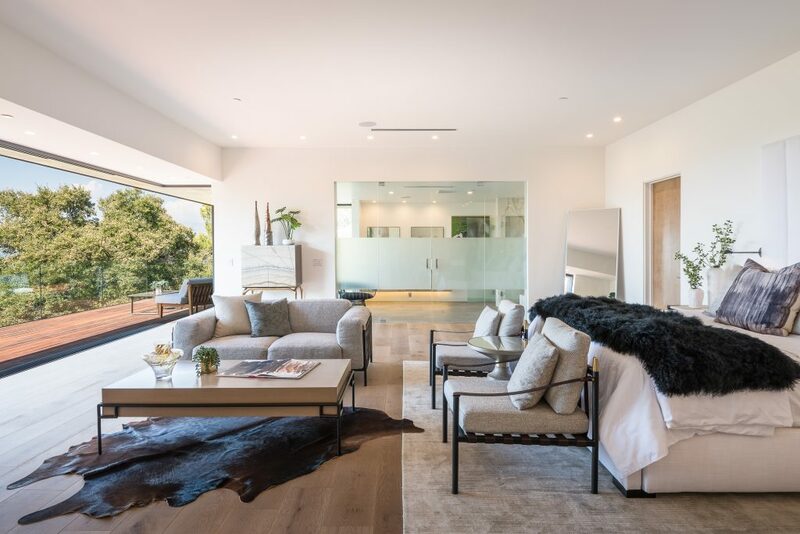 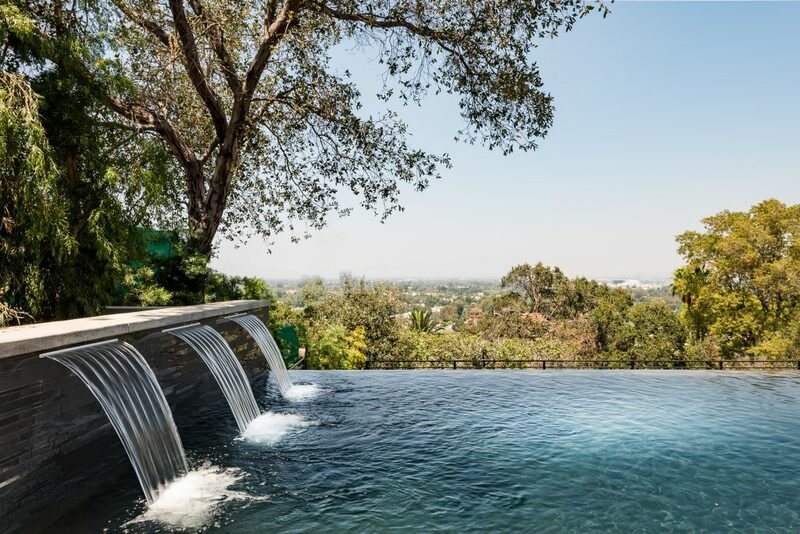 Nestled in the Hills of Studio City, this luxurious contemporary newly developed estate offers a masterful achievement of concept and design. 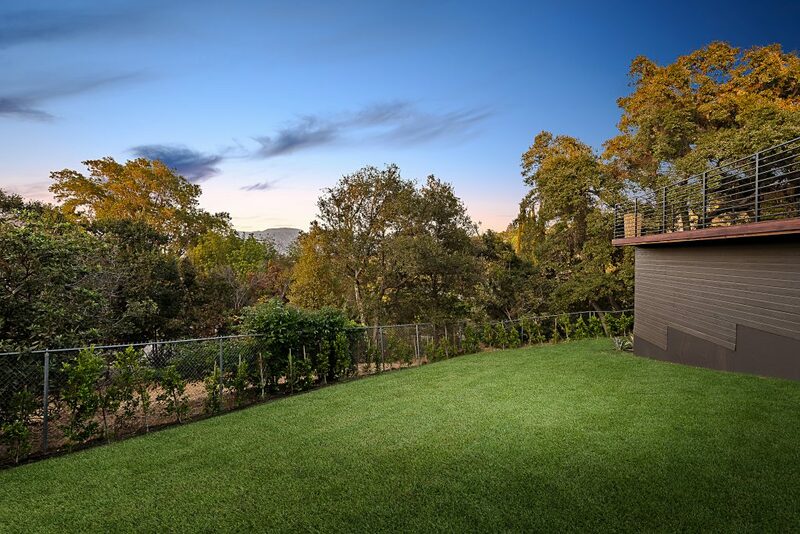 Long driveway leads to a secluded, half acre property with unobstructed city and mountain views. 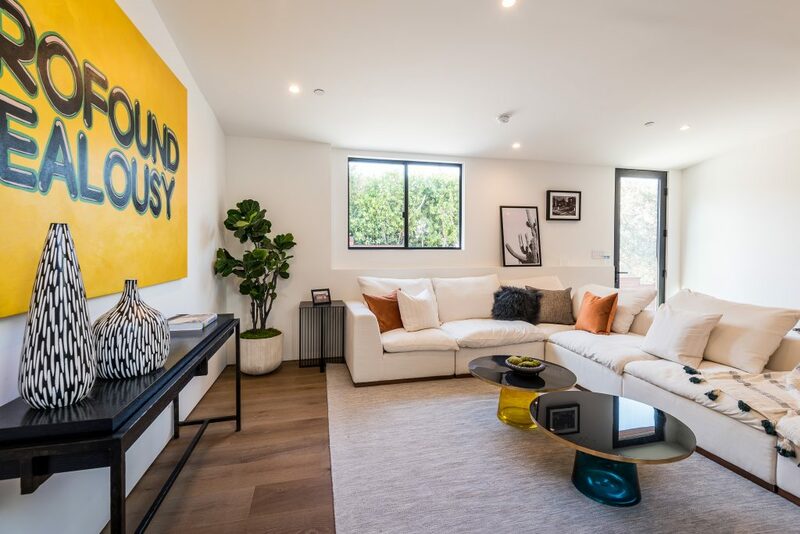 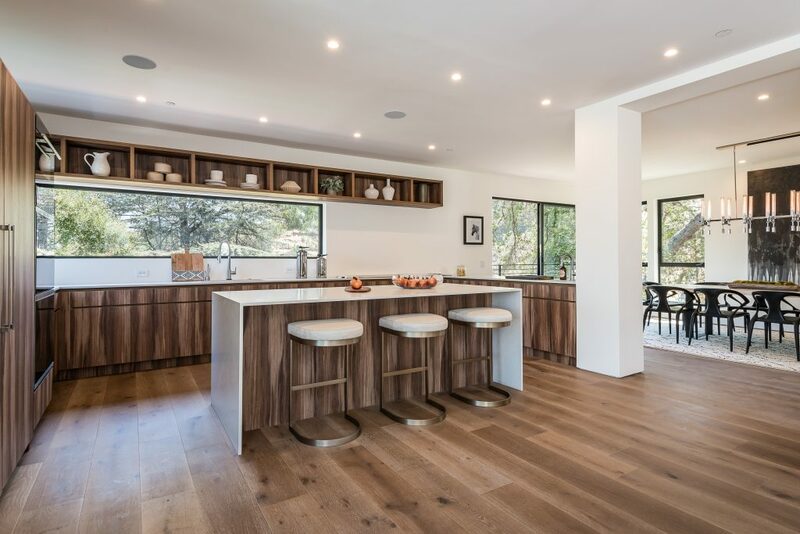 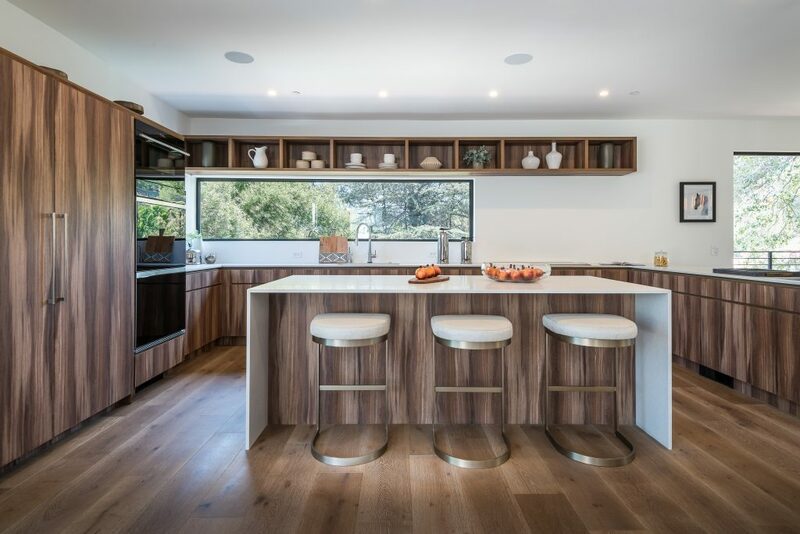 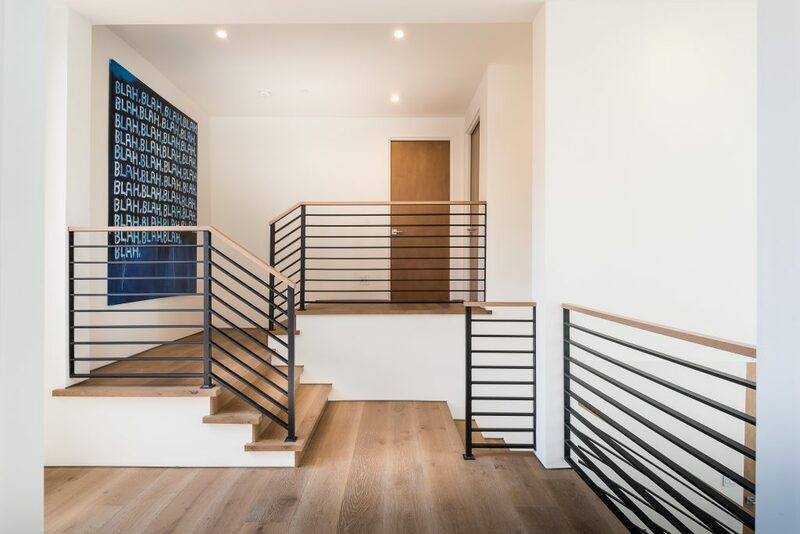 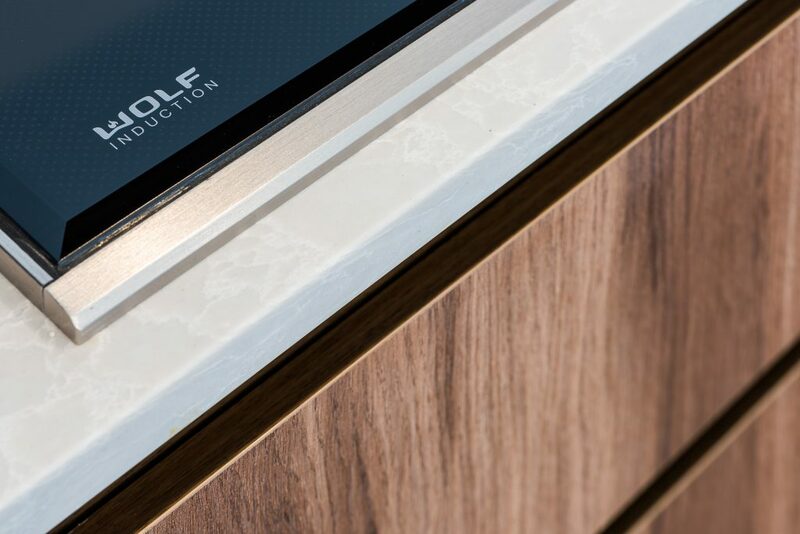 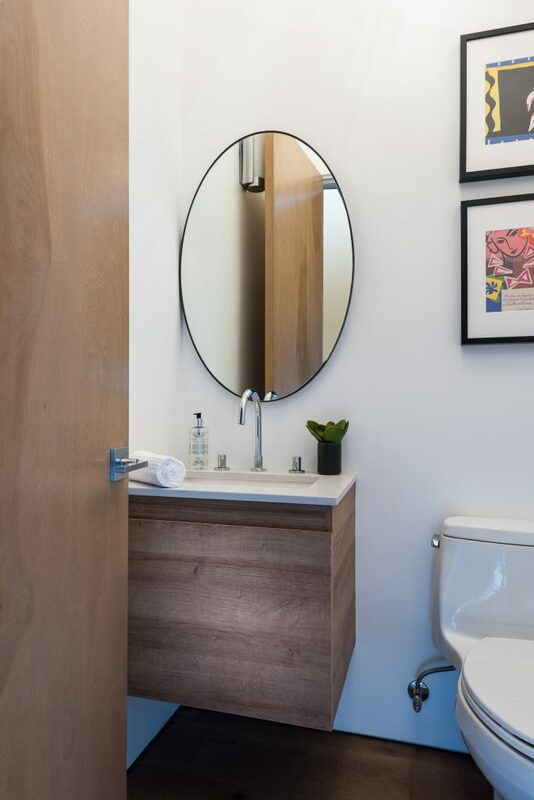 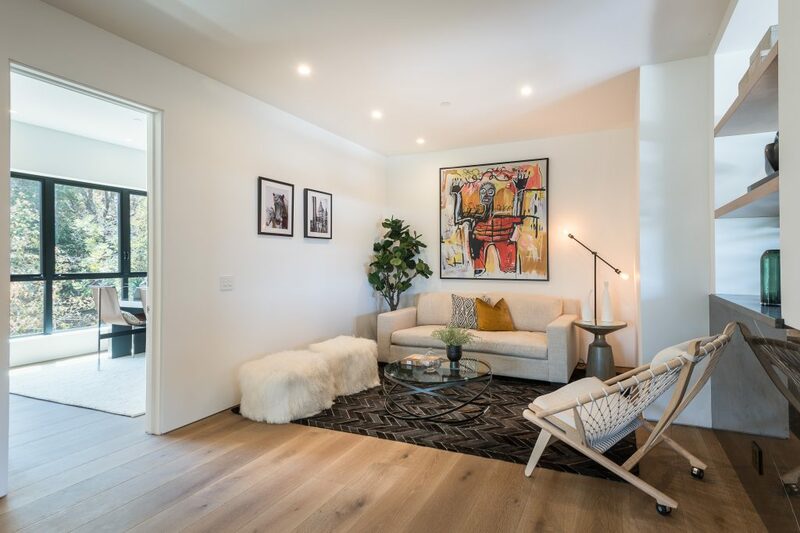 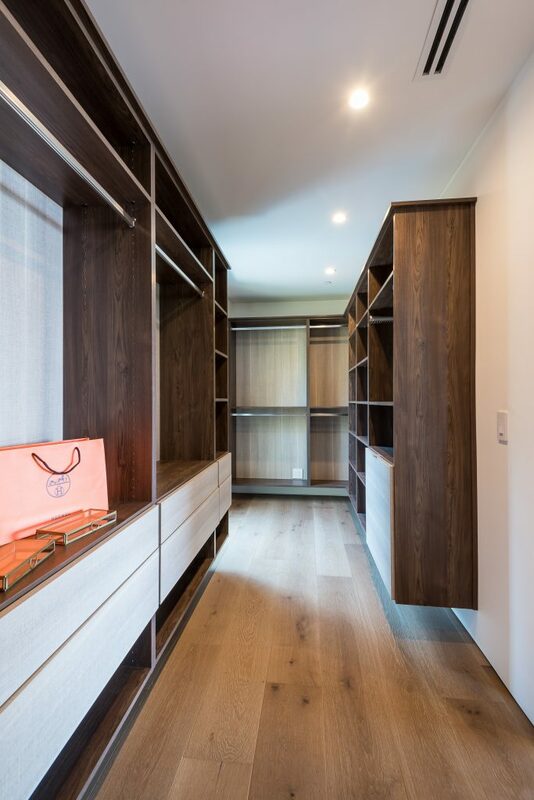 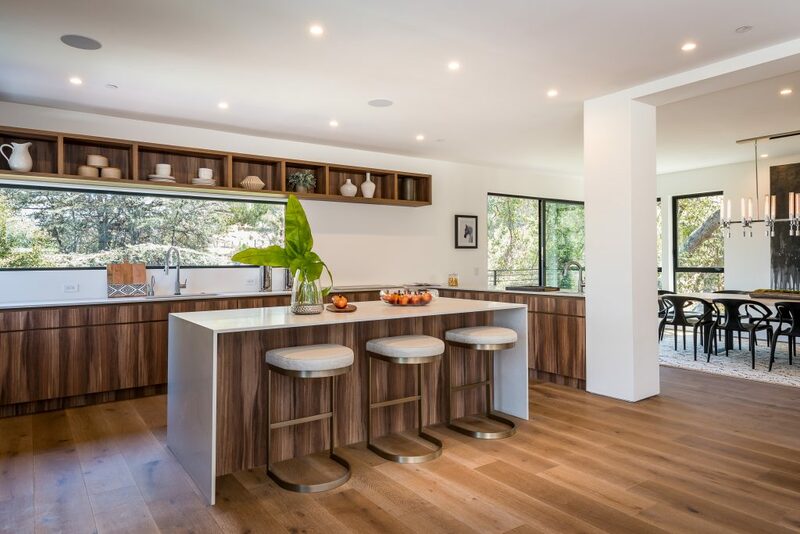 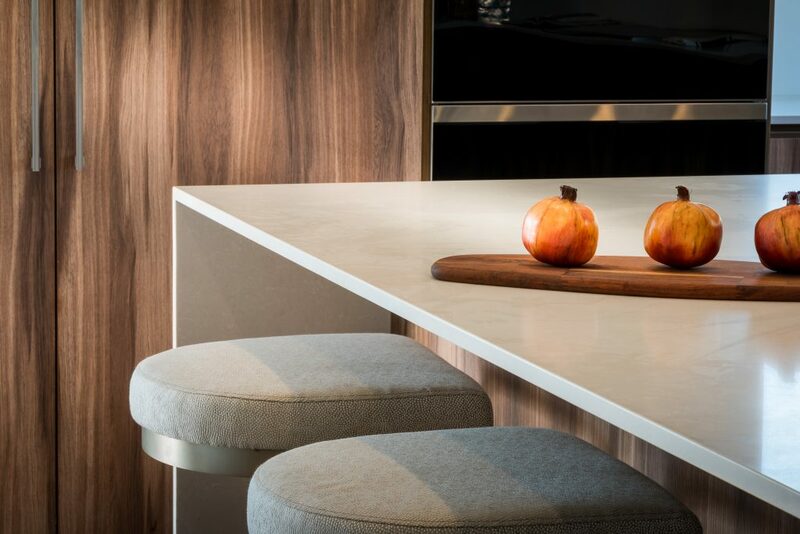 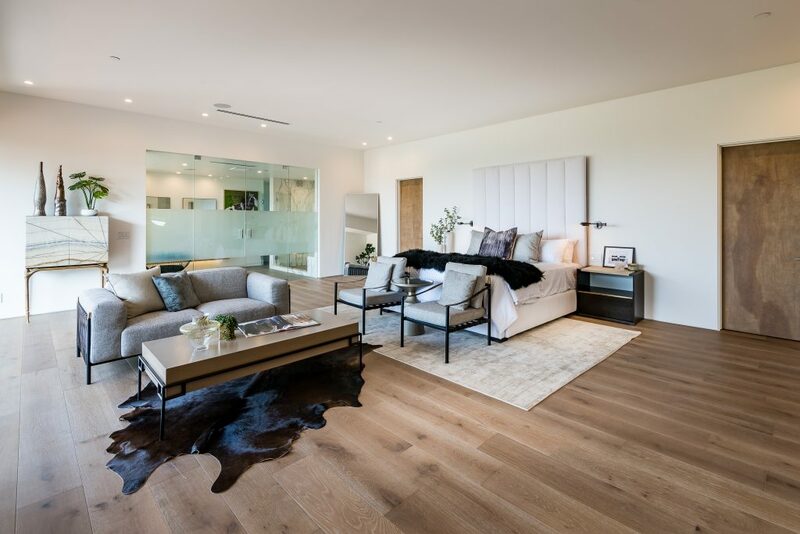 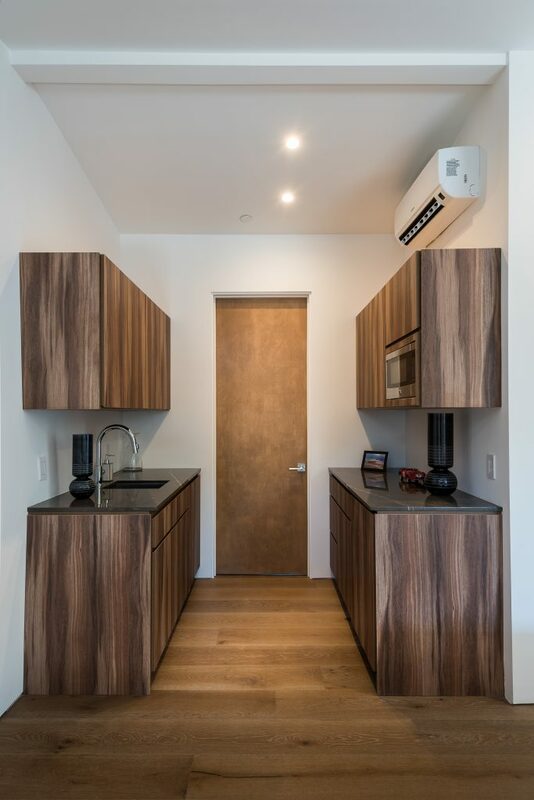 The 5050 square foot modern residence showcases a warm, sophisticated interior, capable of accommodating multiple layout options. 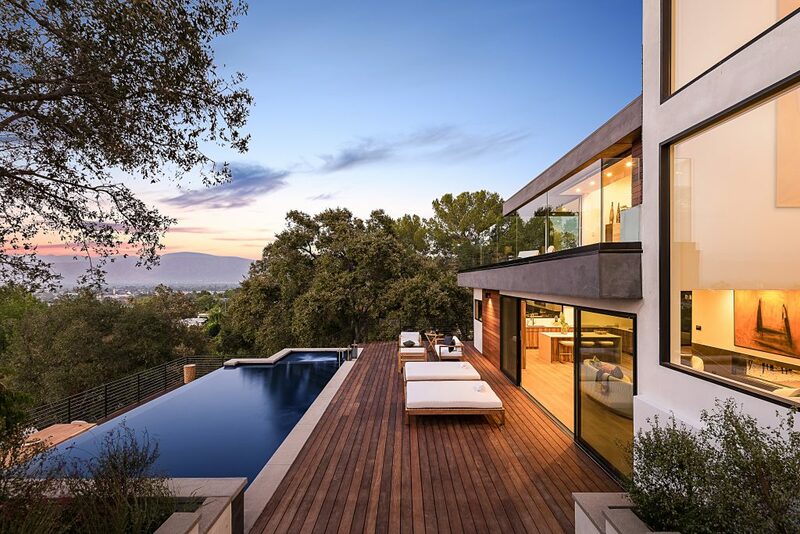 Soaring high ceilings and walls of glass seamlessly integrate indoor and outdoor living spaces while bringing phenomenal views to the forefront of the living experience. 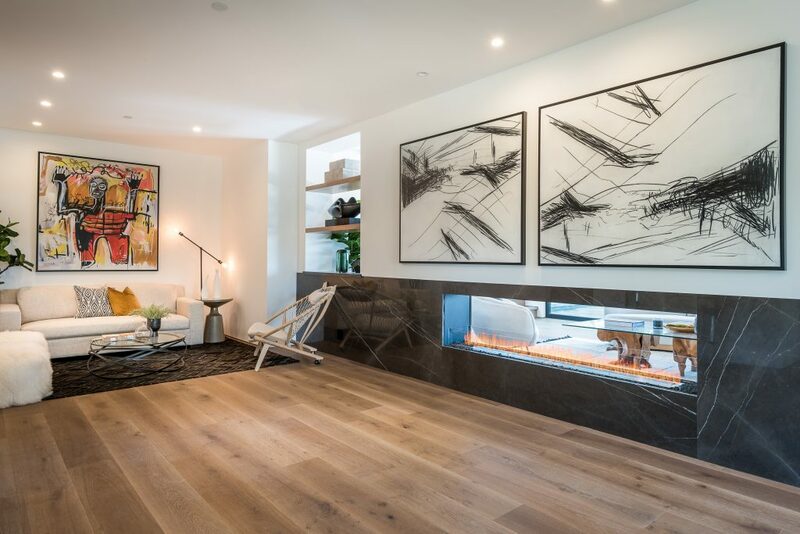 ccccxpansive lower level includes a linear double sided fireplace, surround sound system, gourmet kitchen with large center stone island. 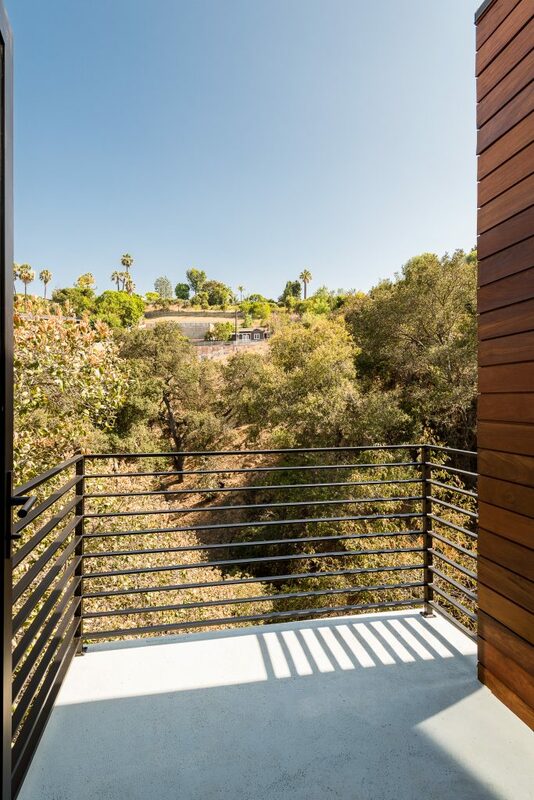 Ensuite bedroom tucked into its own corner downstairs includes private balcony w/ hillside views. 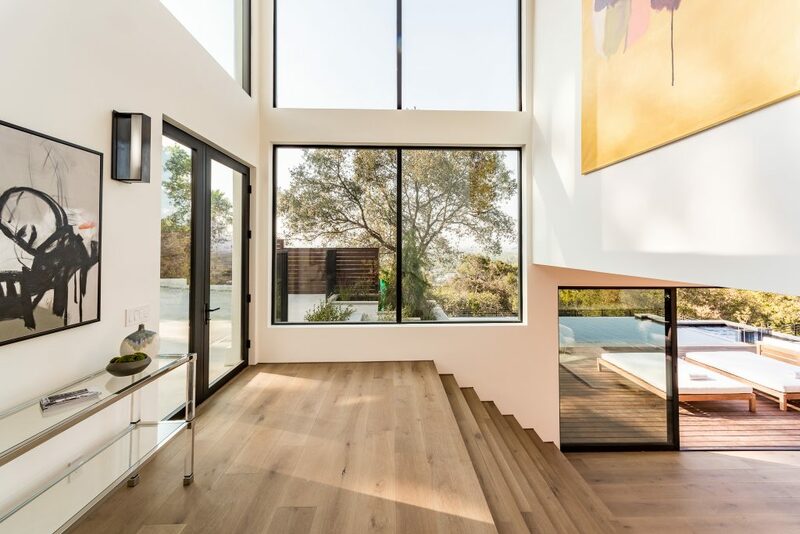 A sculptural staircase leads to a second and third level, which holds three light-filled, ensuite bedrooms. 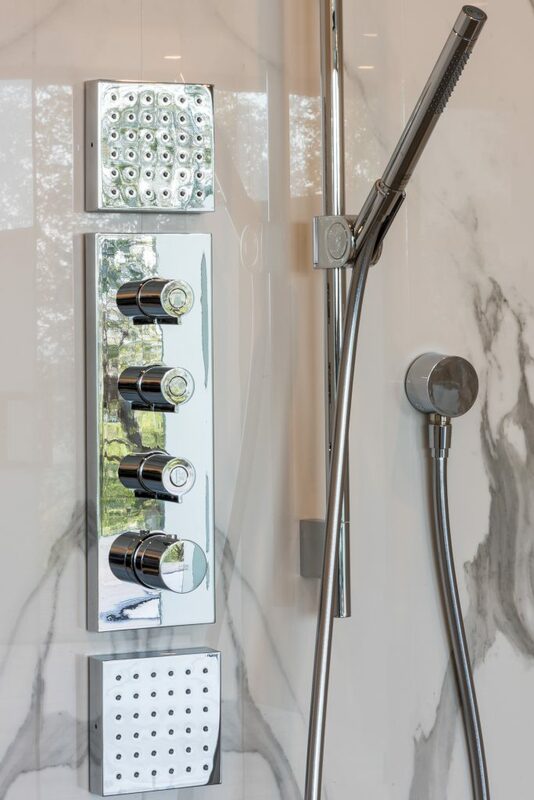 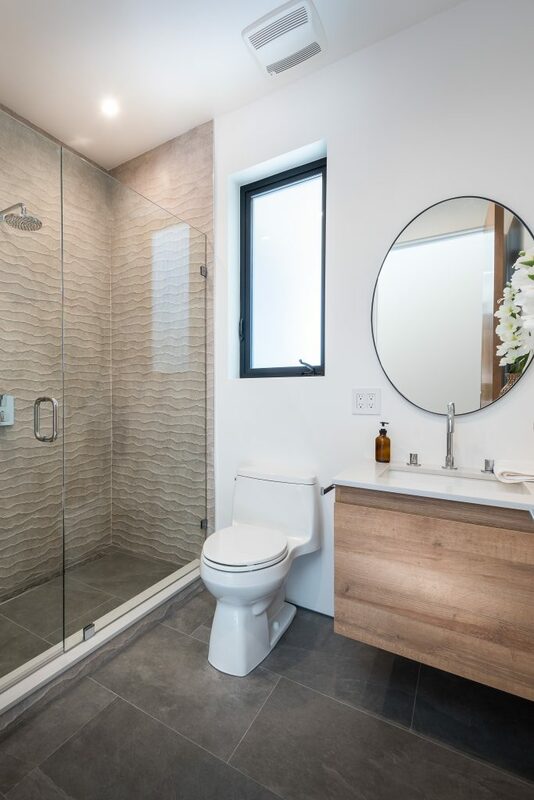 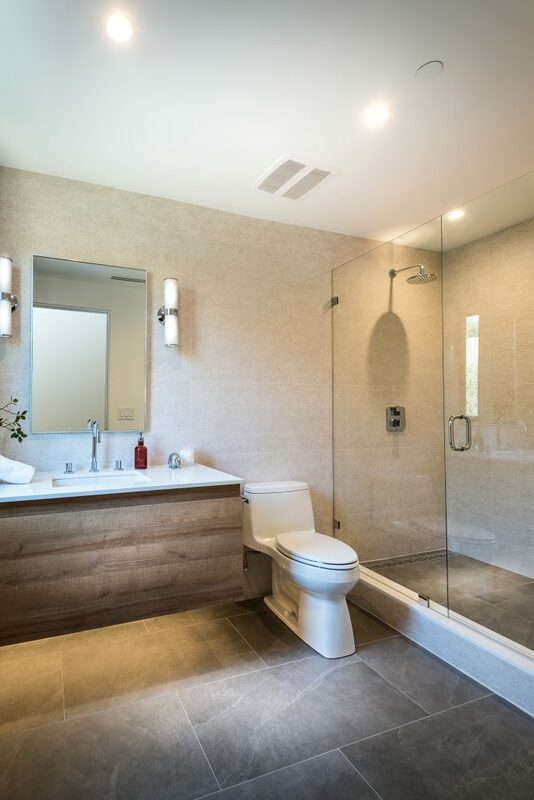 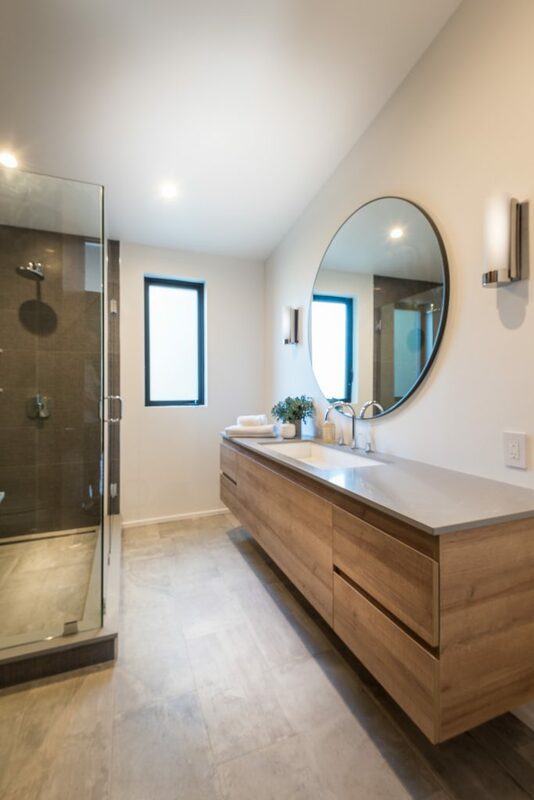 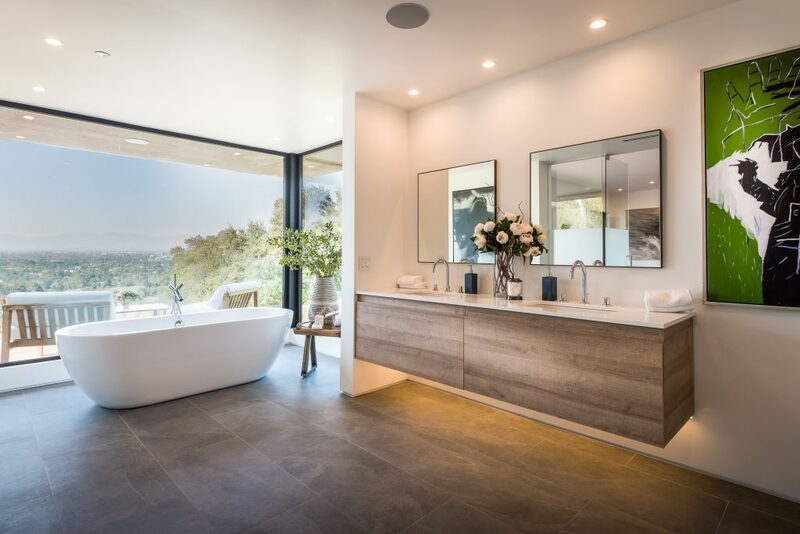 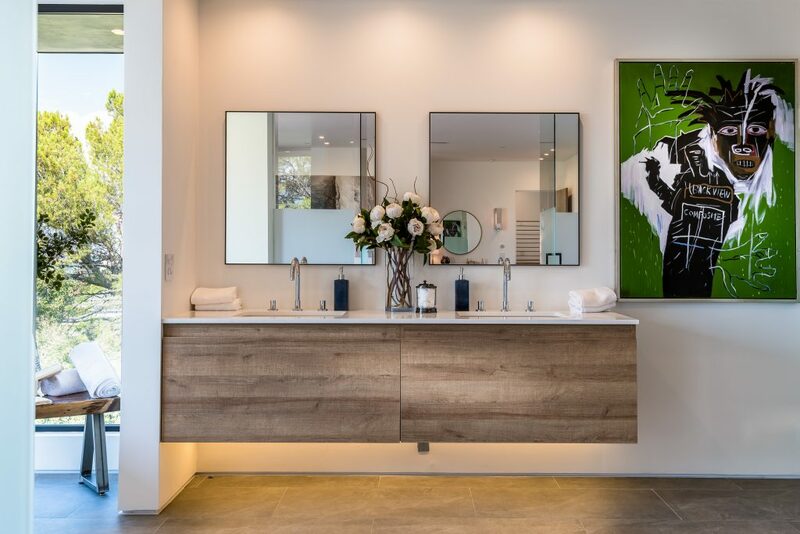 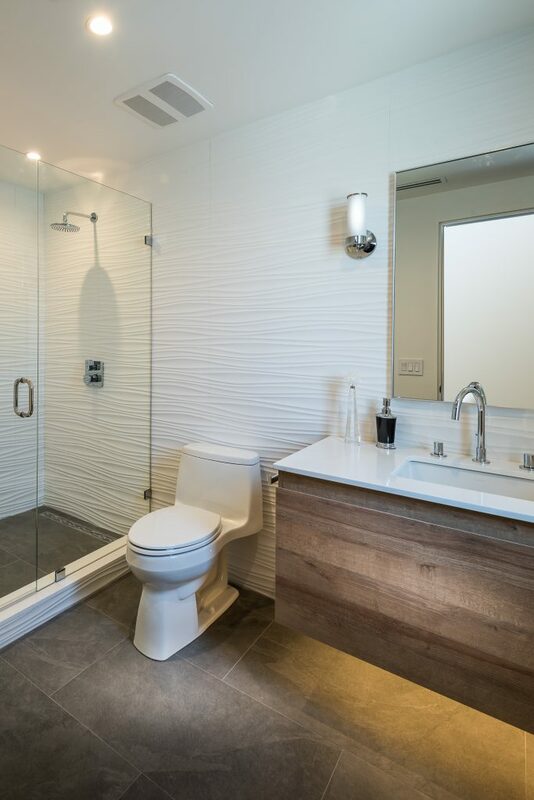 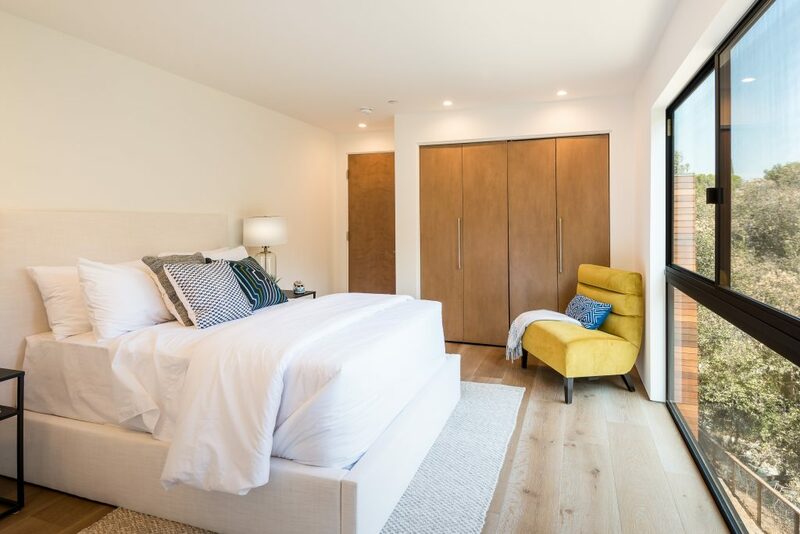 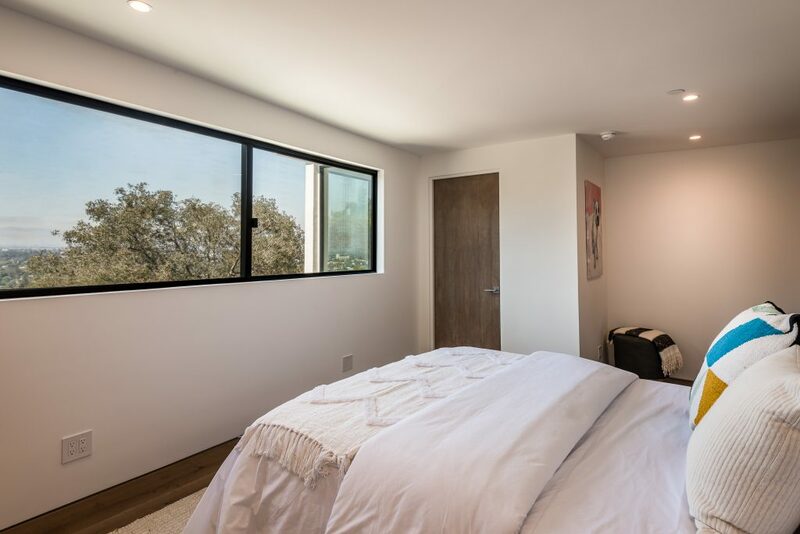 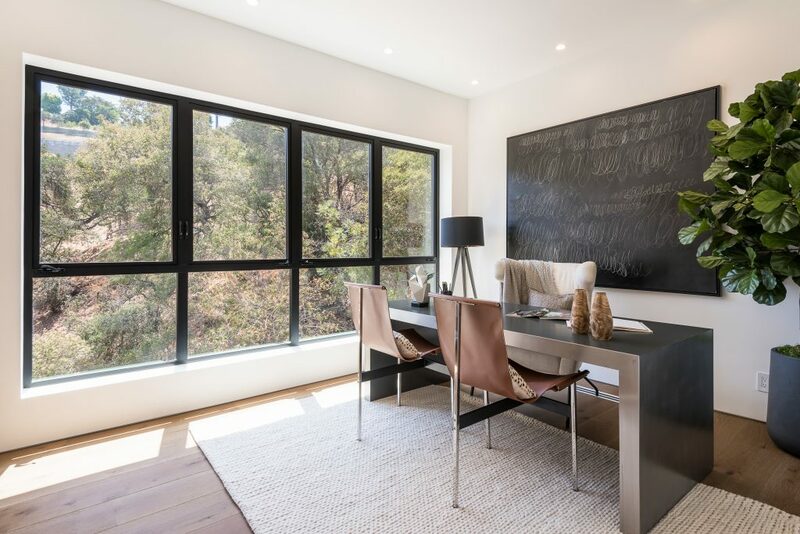 A grand 1200 Sq Ft Master suite is equipped with sliding glass doors to a large terrace showcasing stretched valley views, spacious walk in-closets, and exquisite bathroom with a free standing bath tub w/ picturesque views. 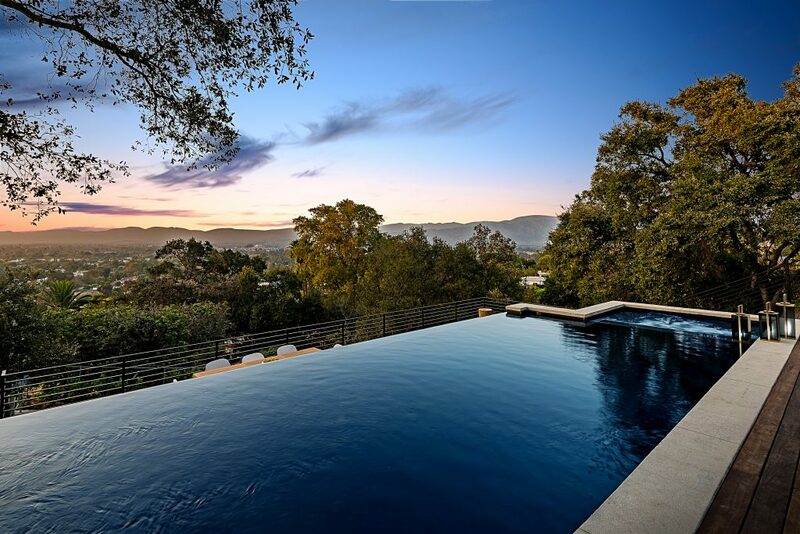 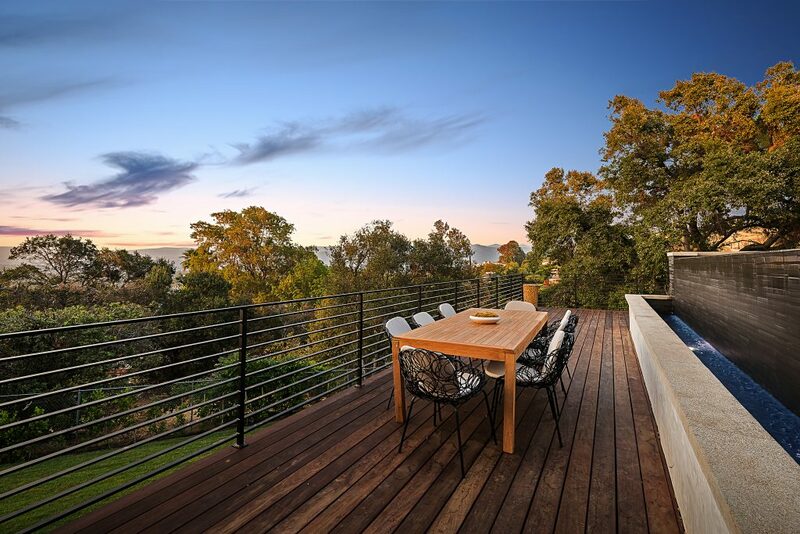 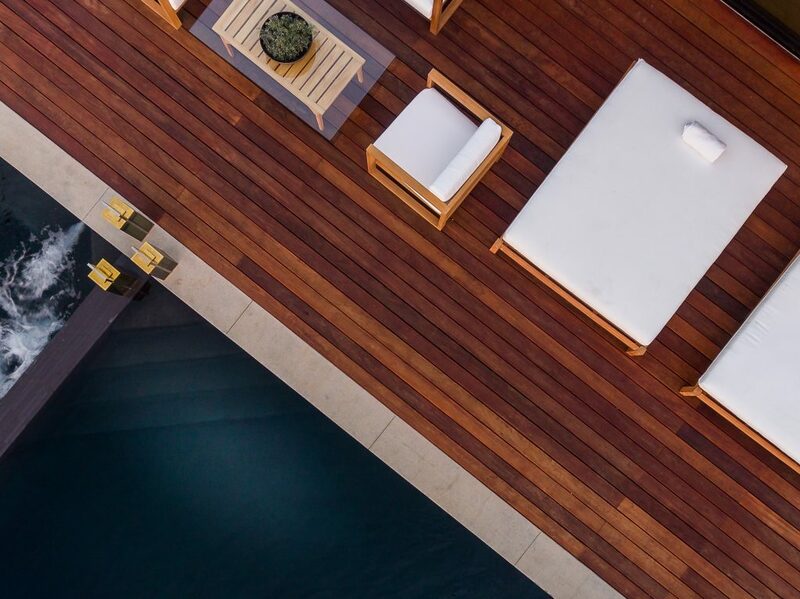 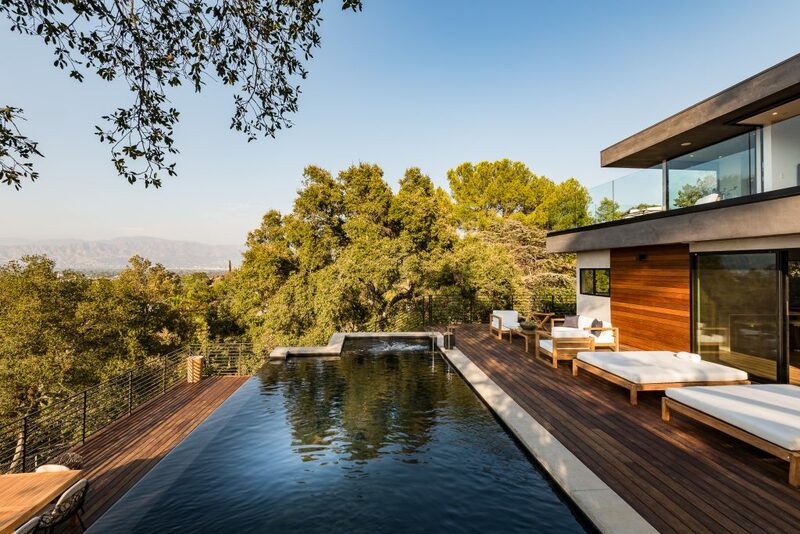 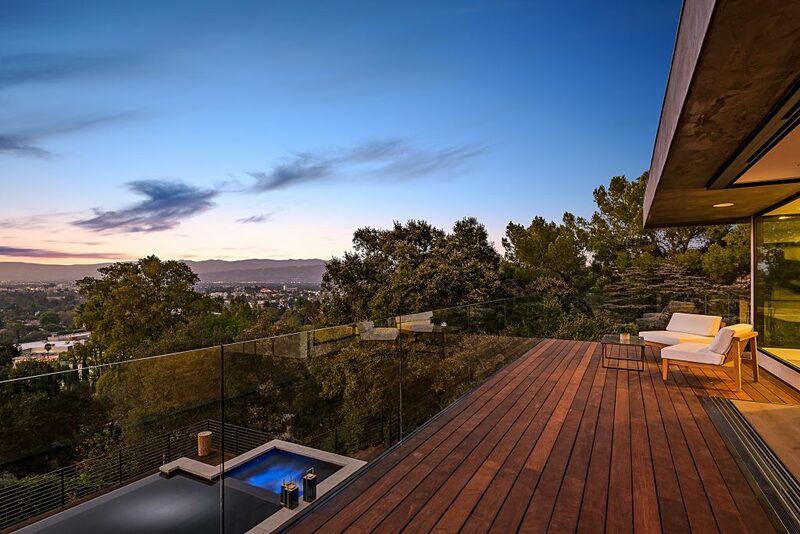 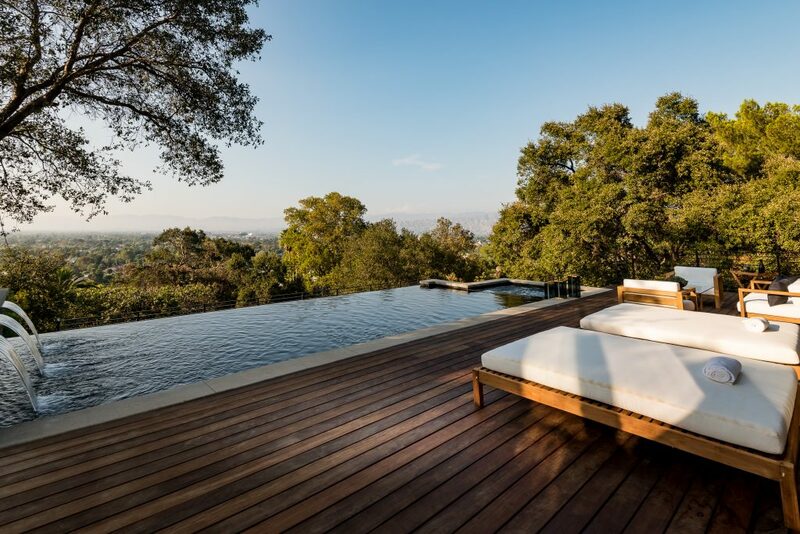 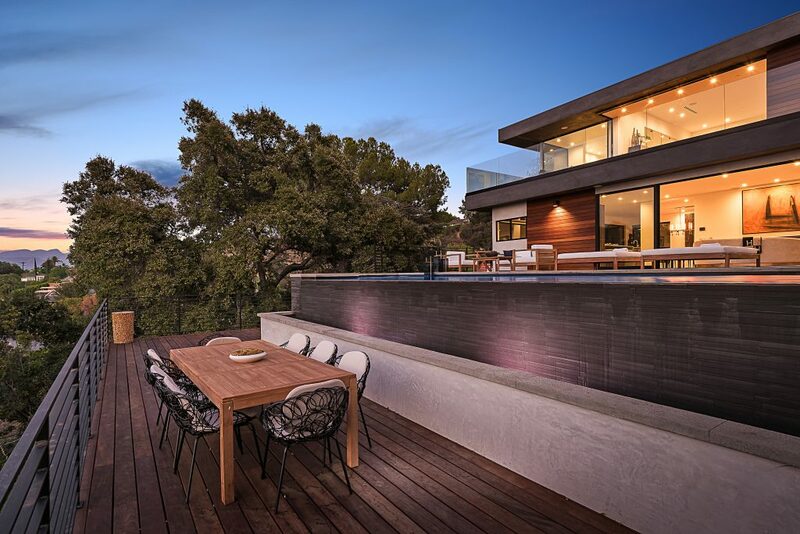 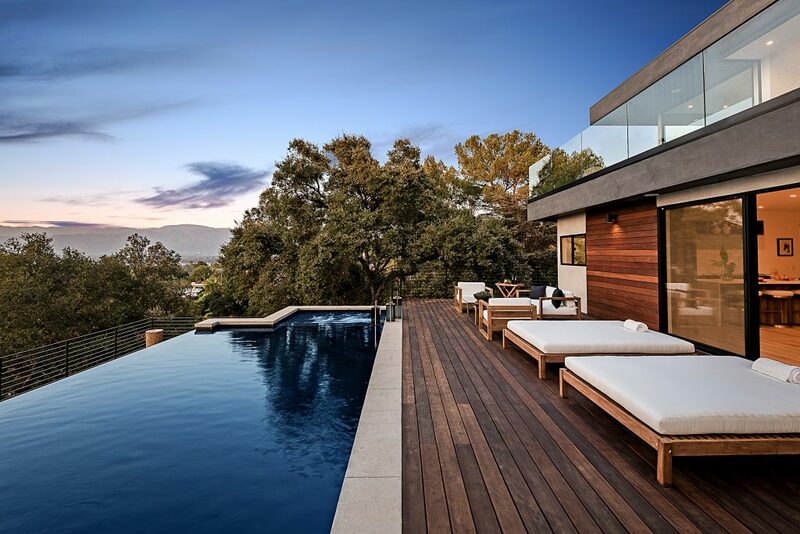 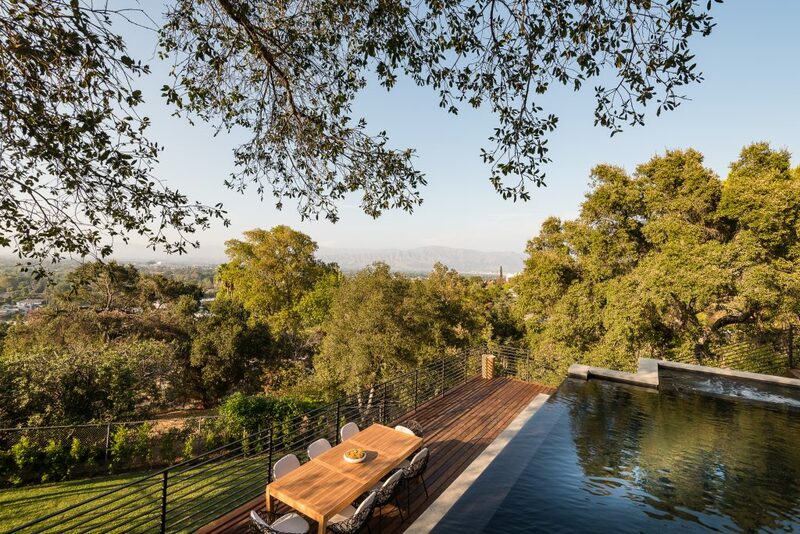 Serving as a natural extension of the home’s interiors, a zero-edge infinity pool and spa spill over the hillside, while expansive, sunlit decks take full advantage of the sweeping views. 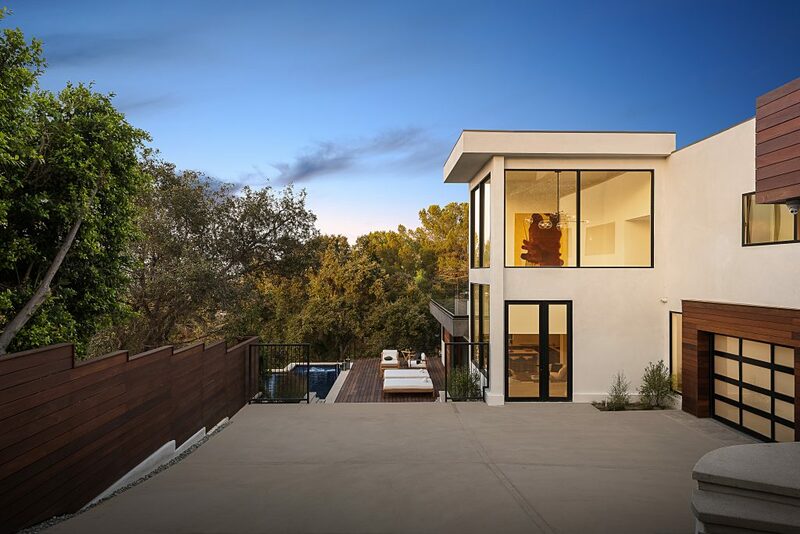 A masterpiece in its own right, a separate guest house holds a full kitchen, bedroom, bathroom, and sitting area.